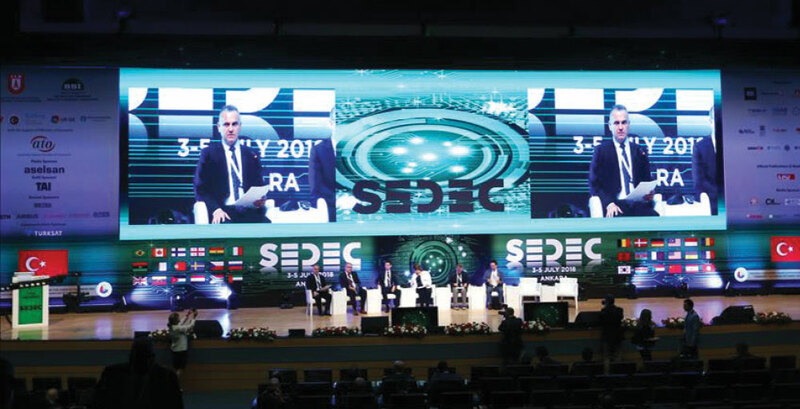 SEDEC, organized with the support of The Presidency of Defence Industries (SSB) and Defence and Aerospace Industry Exporters’ Association (SSI), has been Turkey’s first organization focusing on border and homeland security and it included fairs, conferences and B2B negotiations. The event was successfully held from July, 3 – 5 at ATO Congresium, Ankara. 3800 visitors attended the event which lasted for three days and a total of 4,200 B2B negotiations (3,800 planned and 400 which arose during the event) were conducted within the scope of the event. Approximately 158 industrialists and industrial enterprises from Ankara, Bursa, Eskişehir, Adana, Konya and Kayseri attended the event. Moreover, the decision makers and end users regarding the purchase of military and police equipment were invited from Jordan, Ukraine, Kenya, Kuwait, Germany, France, Sudan, the United Kingdom, Italy, Korea, Canada, Lebanon, the United Arab Emirates, Venezuela and South Africa and they gathered with the Turkish security and defence industry manufacturer companies throughout the event. Ivedik Organized Industrial Zone Chairman of the Board Hasan GÜLTEKİN, SAHA Istanbul Chairman of the Board Hasan BÜYÜKDEDE, ATO President Gürsel BARAN, SSI Deputy Chairman of the Board Mustafa KAVAL and Vice President of Defence Industries Dr. Celal Sami TÜFEKÇİ and President of the Information and Communication Technologies Authority Ömer Fatih SAYAN participated in the opening ceremony of the event. Participating in the event on behalf of the Presidency of Defence Industries, VP of Defence Industries Dr.Sami Celal TÜFEKÇİ commenced his speech by wishing that SEDEC would be beneficial for all. SECDEC is a critical business platform gathering all international and national players in the areas of homeland security, border security, interior security and defence systems. TÜFEKÇİ: “These types of events are becoming more and more important for following the developments in the security area, gathering and interaction of the parties and their coordination. Therefore, within the scope of the SEDEC event organized with the support of the Presidency of Defence Industries and Defence and Aerospace Industry Exporters’ Association, we aimed to gather all the international and national players in homeland security, border security, interior security and defence systems fields, and to enable information sharing in line with an effective cooperation between the parties through fairs, conferences and bilateral business negotiations. The necessity of a powerful defence industry is quite obvious due to the highly strategic position of our region. Therefore, our The Presidency of Defence Industries has accelerated its activities with all its strength, particularly in recent years, in order to provide all types of support to our companies in security and areas of defence in close cooperation with all institutions and enterprises. We can observe the reflection of this momentum through the 2017 SaSaD Turkish Defence and Aerospace Industry performance report’s data as well. The point at which we have arrived since 2002 in the defence industry is witnessed by the public not only through the figures but also with the output. These achievements are the source of our nation’s pride and motivate us for achieving greater goals while further accelerating our activities. During this period Aselsan (57th), Turkish Aerospace (61st) and Roketsan (98th) entered into the list of the world’s greatest 100 defence industry companies. We have full faith that they will climb higher and more of our companies will be included in this list. Much progress has been achieved since 2004 in the defence industry which is a critical part of industrialization and development as a whole. At the point reached today, our defence industry has become one of the most crucial industries of our country with its indigenous products, exports, main contractors, subcontractors, SMEs, research institutes and universities. 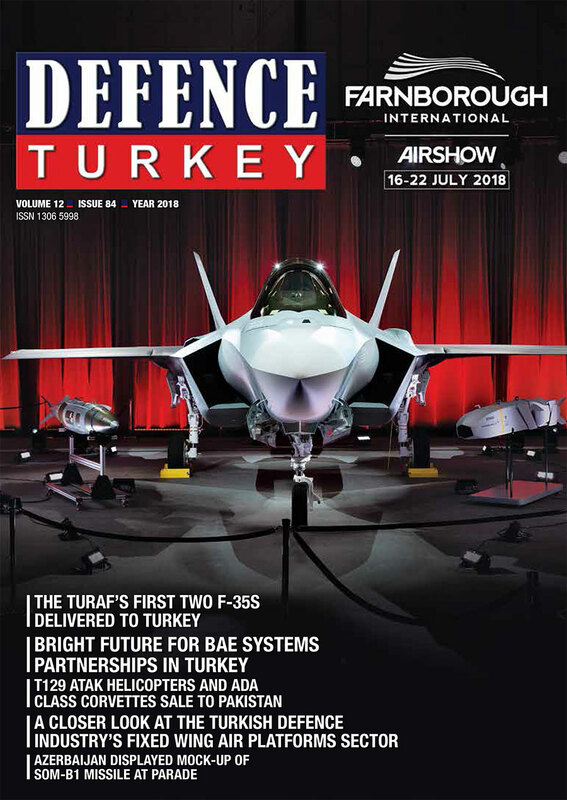 Turkish defence industry companies have been exporting numerous products abroad such as armored vehicles, unmanned air vehicles, air defence systems, missile systems, simulators, coast guard vessels, military communication systems, command control systems and software, smart motive ammunition and various weapon systems. Many of our systems and platforms such as the ANKA, BAYRAKTAR, MILGEM, KİRPİ, ATAK, HÜRKUŞ, ALTAY, SOM, MPT, GÖKTÜRK satellites and many more will continue to be the success and source of our country. We should fulfil our tasks to achieve a Powerful Turkey, we should achieve more than what is expected from us. At this point, I would like to share certain activities that the SSB has been working on. In respect to the credit and incentive mechanisms of the defence industry, the SSB has been continuing its activities towards rendering the maximum utilization of our domestic industry’s facilities and capabilities and procurement of the critical components of the systems through domestic means in the projects as part of the activities conducted toward developing and supporting the SMEs and sub industry. As the SSB, we have two support mechanisms for supporting our companies. The first mechanism is the qualified product and infrastructure support program and the second one is the EYDEP (Industrial Competency Assessment Program). Within the scope of the qualified product and infrastructure support program incentive, we are supporting machinery and equipment investments, test, qualification, accreditation and certification items. Whereas, as part of the EYDEP, we launched the support activities for encouraging our rather smaller enterprises that have not yet seized the opportunity to express themselves, helping them enter the market and to take greater steps toward becoming a subcontractor. Within the scope of Small and Medium Enterprises Development Organization - KOSGEB product development incentives, a framework protocol has been signed with our Undersecretariat and KOSGEB. Within the scope of this protocol, SME, technological product investment program and strategic product support program credit mechanisms have been launched by KOSGEB. The Presidency of Defence Industries presently has a quite powerful eco system with the Turkish Armed Forces Foundation. However, we had several initiatives with the awareness of the possibility of achieving technology development merely through focusing. Regarding the defence industry area, company models were built for the identification and indigenization of high value-add products that can be manufactured in Turkey, but which are imported. Also, the launching of existing and new projects in areas of critical technology through the formation of a sustainable and competitive technology base in the defence industry. 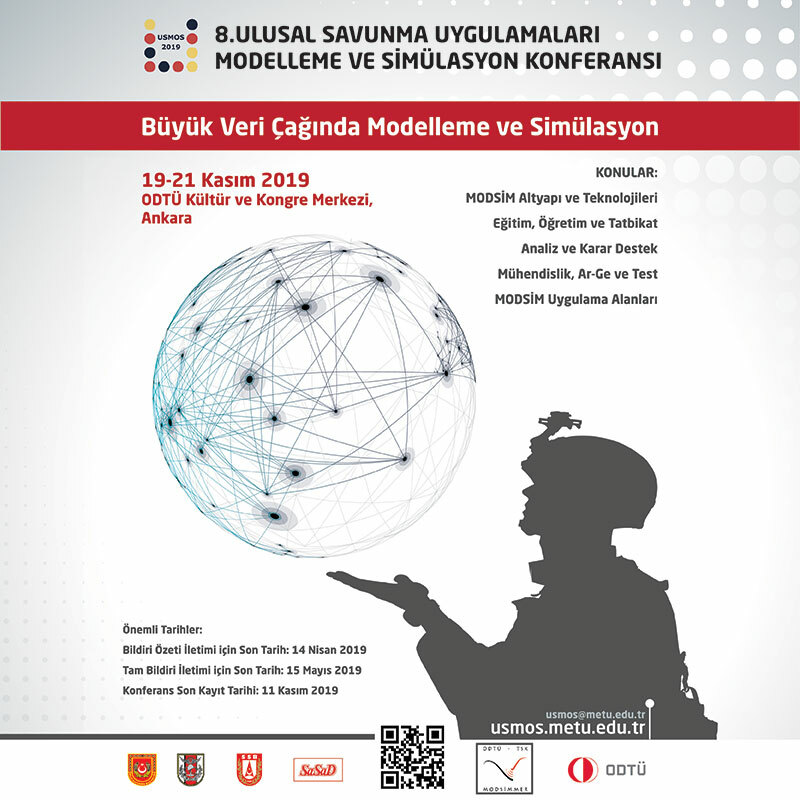 In this model, regarding areas of critical technology, one of the companies under the auspices of the SSB, Savunma Sanayi Teknolojileri A.Ş. was established with the mission of developing and manufacturing high technology systems required for the country’s security, as an umbrella organization and 100% affiliate of the SSB, by becoming partners with the companies to be newly established or with the existing companies. The affiliates of this affiliate, DeltaV Inc. and Roketsan were established in order to develop hybrid fueled missile technologies and launched its activities. Moreover, ULAK Communications Inc. was established with a joint structure with other communication companies with which we negotiate with Aselsan. TR Motor Güç Sistemleri A.Ş. (Engine Power Systems Inc.) was founded to conduct activities in engine and power transmitting systems that will elevate our country higher in the path of full independence. This company has launched its activities and will advance our country in engine technologies, turbo engines being in the first place. Our company TRD Mikro Elektronik A.Ş. which executes its joint activities with Aselsan was established for the development of detectors (with foreign dependency) of the cameras utilized in UAV systems, aircrafts and helicopters through national facilities. In addition to all the aforementioned points, products and platforms in areas of defence and security are systems that require high performance product quality criteria. And perhaps the test and qualification of these systems leave the design of the systems behind. We have launched the Tr - Test Inc. that will enable the platform for testing and approving all these high criteria. Also, our support to increase the private sector’s existence in this area continues through offset mechanisms such as credit support for infrastructural investments, R&D activities, and industrial participation. We have launched HAB Aviation Space Specialization Organized Industrial Zone as well. Similar to Teknopark Ankara, we completed the establishment process of the technology development zone we named as Tekno Hab within the Organized Industrial Zone. We will be launching this concept as Tekno Hab which Gazi University’s first activity under the name of EKTAM is - Additive Technologies Research Institute. All of the aforesaid require an emphasis on industry’s requirement for qualified human resources as well. We have established the SSB Academy in order to support on-the-job training, pre-service training and vocational training under a wider roof and in a way to support the academies formed under the auspices of our foundation companies in particular. To this end, we will be the most fundamental supporter of launching various activities conducted for training human resources composed of blue collar personnel, white collar personnel and R&D personnel. We have been active in the defence industry with slightly less than 50 thousand personnel, yet our targets and projects require quite a larger volume of qualified individuals. Moreover, hereby, I would like to express that we will be training researchers in high technology areas by launching various scholarship programs. Following the opening ceremony, the conferences comprised of five different sessions started. The first session of the conference was titled as, “Border Security Policies”; the second session was titled as the “Homeland Security”; the third session, “Supply Chain”; the fourth session “Border Security Technologies” and the fifth session titled as “Secure Cities”. The sessions were executed with the contributions of esteemed moderators and speakers. As a candidate for becoming one of the most critical events accomplished to this end, the aim is to hold the SEDEC event biyearly.